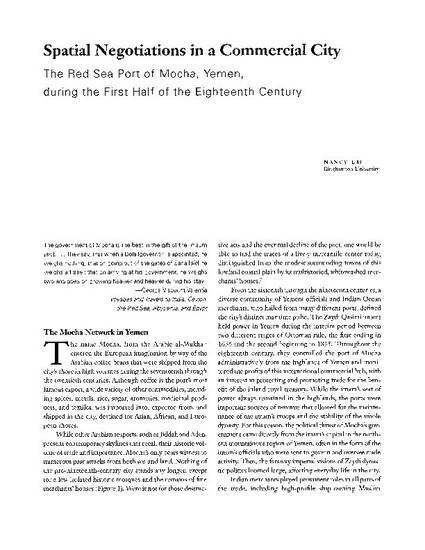 The city of Mocha in Yemen was one of the most important Red Sea ports of the early modern Arab world, handling the trade of spices, textiles, metals, local aromatics and coffee beans. This essay examines the urban structures that governed the needs and practices of merchants in the city during the first half of the eighteenth century.  Drawing on contemporary Arabic chronicles, archival European trade documents, historical photographs, and field work in the city, it documents the conspicuous absence of a network of public trade structures, like the urban khan, the expected locus for trade in an Arab city devoted to international trade. Rather, the essay provides evidence for the use of the merchant’s house as the central location for trade activity, commercial negotiations, storage of merchandise, and lodging of foreign merchants. This case study presents a mode of commercial interaction that questions a fixed private identity for the house in Mocha and draws on a maritime system of interaction to account for this unique mode of trade in an Arab city that served as an important Indian Ocean node. Nancy Um, “Spatial Negotiations in a Commercial City: The Red Sea Port of Mocha, Yemen during the First Half of the Eighteenth Century,” Journal of the Society of Architectural Historians 62:2 (June 2003): 178-193.